We serve in the dual roles of project manager and instructional designer. Our IT background – the first LMS project was in 1999 – informs our awareness and flexibility with learning technologies. Our coaching background informs the design. We translate business requirements into learning requirements and then bridge the gap with the developers. 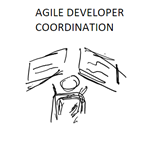 An agile approach keeps things aligned and moving in quick creation-review cycles. The first training we ever did was in 1989 to help new users learn the MANMAN ERP system. It was around that time that we also did our first training for JIT (just-in-time), Lean and Agile research, development and production processes. Since then, we’ve created training and related documentation systems for manufacturing assembly lines, product development processes, project management and talent management systems. We’ve created these types of workshops on multiple occasions. The biggest challenge is the tendency for attendees to want and expect a formulaic approach and an easy fix. Anyone who truly uses a S.M.A.R.T. goal-setting approach knows that it is a bit of an art and requires being able to make trade-offs. There is no one right way. In addition to the standard background information, we link the concepts to other knowledge areas (e.g. project management) and even everyday life situations beyond business to show what is simple. Then we spend even more time on the complex realities of communication, alignment, work breakdown, and trade-off decisions. Interactivity is provided by placing attendees in dyads and triads to address and discuss various situations. 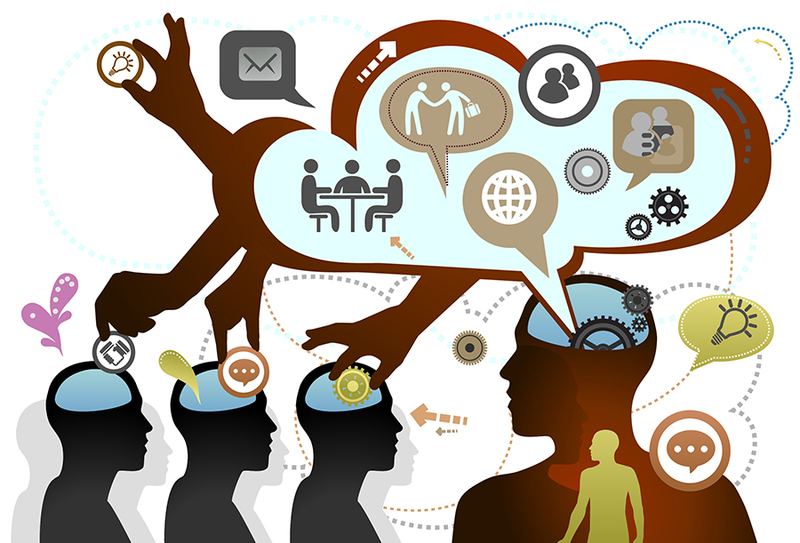 We also address the skills of providing feedback because in reality, one cannot separate the conversational elements of goal-setting and feedback – the two are forever intertwined, and courses that do not combine those elements are, in our opinion, only addressing half the issue. We look at the different components of clear communication, timing, and how various models (e.g. STAR; SDI) all bring in the same basic elements and how to look past any particular model to the underlying, timeless truths. A systems training course was not achieving business and learning objectives. The materials were heavy on text and topics did not flow. Exercises were few and positioned at the end of long lecture segments. Attendee competencies were not fully addressed. Perhaps you’ve sat through similar? We inserted in a high-level introduction that tied the system features and capabilities to the needs of the business and to industry best-practices, not just the software learning needs. We also expanded the learning requirements so that the necessary system administrator competencies of problem-solving, attention to detail and courage were addressed. That was accomplished by including train-the-trainer and role-playing exercises, and by using games and puzzles to bring out teamwork and a bit of competition. We also utilized a live-graphics approach where concepts were drawn in front of attendees. No mind-numbing graphics here. That real-time approach helped keep attendees focused and also improved comprehension regarding the underlying data concepts (e.g. cause-effect) of the system. The first training we ever did was in 1989 to help new users learn the MANMAN ERP system. It was around that time that we also did our first training for JIT (just-in-time), Lean and Agile production concepts. Since then, we’ve created training and related documentation systems for manufacturing assembly lines, product development processes, project management and talent management systems. Regardless of the training type, we always make sure to include information that clarifies the tie-in to business needs and objectives. We’ve designed our own project management courses covering basic knowledge and skills, risk management, and PMP certification. Some of that content has been integrated or repurposed for courses at universities and corporations. Although we’ve mothballed that part of our work the past few years, stay tuned because those courses might be making a comeback in 2015. This activity brought 21 of the leading medical experts in chronic disease treatment and tobacco dependence to the AMA offices in Chicago. The objective was to generate ideas and proposals on how tobacco treatment could be designed from the perspective of a chronic disease, which is more thorough and end-to-end than the typical one-off and isolated interventions typically seen. The results of that facilitation were published by the AMA in a whitepaper and posted on their website. Websites are more than what you see. They also require an understanding of what lies beneath and how its structure impacts not only the visual design but the ongoing management of that website. In 2001, the website of the Chicago chapter of the Project Management Institute – one of the largest chapters in the world – was looking and behaving very dated. An analysis of the navigation and the underlying structure showed many areas and opportunities for improvement. We put together a proposal that justified and introduced new navigation, content, features with the additional benefits of simplifying the underlying structure for ease of information management and control. We provided the RFP structure, led the use case team to develop the use cases and worked with key members of the board to move the project forward. 50% of the directories all of the redundant content files were eliminated. The flow of content and navigation was streamlined to be more coherent and align with user expectations and needs. New features such as ad space were included to provide income opportunities. Linking to calendaring and meeting services was introduced. The improved look and performance heightened the perception of the organization by visitors to the site and was instrumental in ramping up the membership of the chapter. And the website was actually a simpler design underneath than the old one. 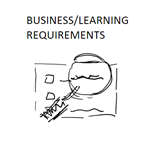 Business/Learning Requirements – This is where it needs to start, with having the business issue well-defined. The solution may still be fuzzy but that’s okay at this step. What’s critical is to get this right so that everything downstream is in alignment. 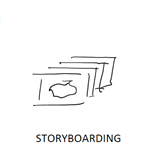 Storyboarding – Developing a model of the course and coming to collaborative agreement helps keeps things aligned, and sets up course development for success. Agile Development – We don’t wait to check in until we’re finished. Elements and subsets of the course are reviewed with you as they are finished so that quick course corrections (pun intended) can be made, saving time and cost. If requirements have changed, we can even go back to Storyboarding to check on alignment and adjust if necessary. 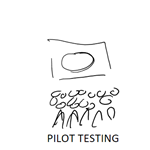 Pilot Testing – This is the dress rehearsal. The finished product is delivered to a representative audience to gauge appropriateness, effectiveness, and feedback. Fine-tuning can then be made on the course. 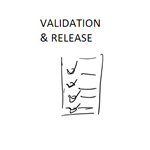 In some occasions, piloting is not possible and so this activity is combined with Validation and Release. Validation and Release – You’ve indicated that the course has met the business and learning requirements and that it is now ready to be delivered to a true audience. In the spirit of continuous improvement, feedback from each delivery is accumulated to make improvements as necessary.